With flexible payment and fee options, Community Tickets gives you control to setup your business exactly how you want it. The fab four of Community Tickets, Community Events, Event Tickets, and Event Tickets Plus creates a truly interactive calendar experience with revenue potential that is sure to be a huge hit with your organizers! Community Tickets gives event organizers the ability to sell tickets to their own events on your website. Users can create tickets, sell them, and access reports without needing access to your WordPress admin dashboard. 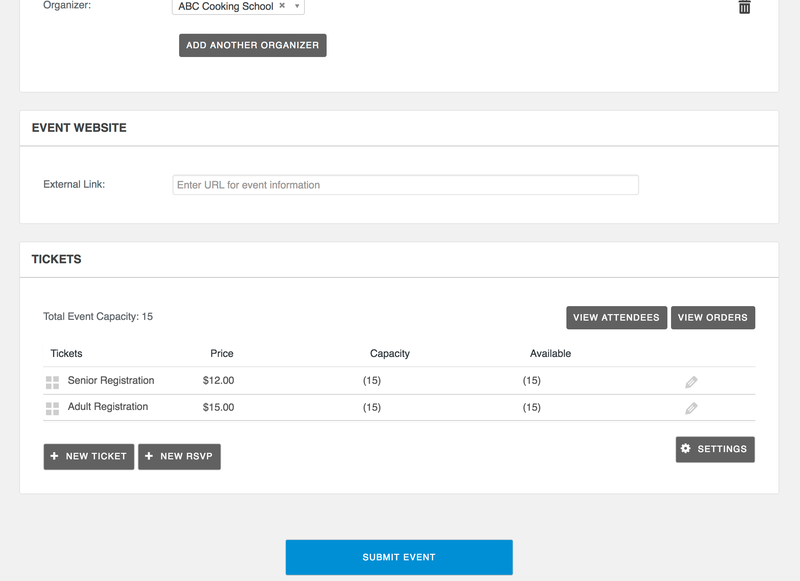 Event organizers can view attendee details for each of their events and use check-in tools to manage guests. Review the event summary at a glance, including ticket sales information, event earnings, and total revenue. Set your own ticket fees on a per-ticket or per-sale basis. 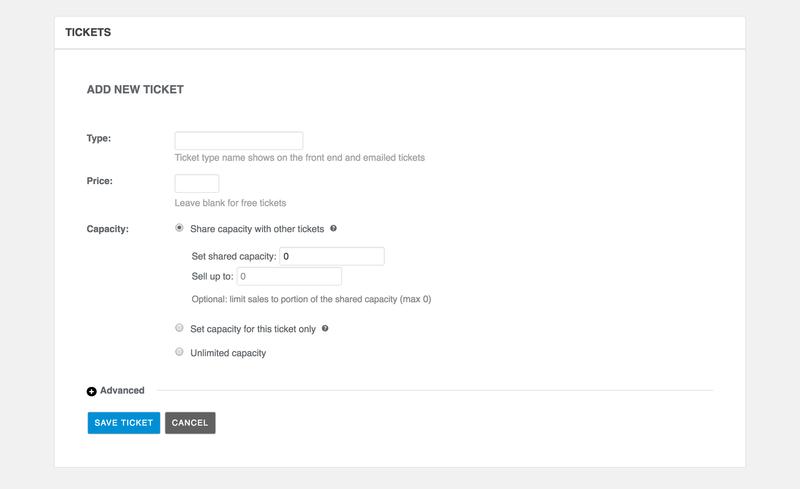 Fees can be included in the ticket price or displayed as an additional cost on the cart page. 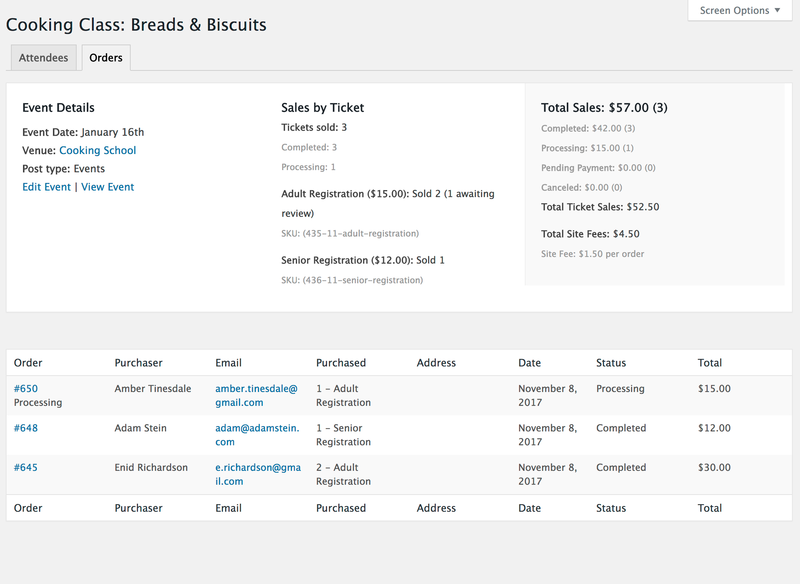 Allows you to split the ticket revenue between your site and the event organizer at the time of ticket purchase. Existing PayPal Adaptive Payments customers only. 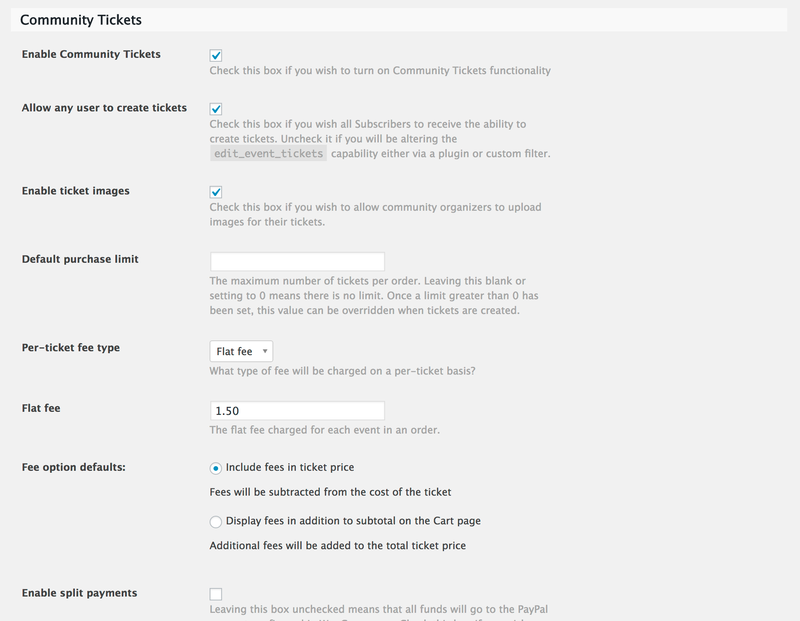 Note that Community Tickets requires Community Events, Event Tickets, Event Tickets Plus, and WooCommerce to be installed and activated on the same site. All four plugins are required to use Community Tickets features. Events Calendar PRO is not required, but can also be used to add even more features, such as additional fields. Note: Community Tickets can also be used with Community Events and our legacy ticketing plugin WooCommerce Tickets. Need more information on Community Tickets? Be sure to check out our Knowledgebase articles. If you have questions about functionality or what plugins are best for you, please post a thread to our Pre-Sales Help Desk and we’d be happy to help out!